Hilltop Kennels | I like to train the owners as well as the dog! I like to train the owners as well as the dog! You know it is said that the Lord has a plan for all of us before we are even born. From a young age I had no idea what his plan for me was, but after a long journey, and traveling down many different paths, I finally found my purpose. I started training dogs for the public back in 2000. The plan was to train the basics to young dogs, and then send them on to another trainer to be finished. I was still learning myself, although I have had dogs all my life, so I was not comfortable taking money from people to try and advance their dog. Long story short, my clients were so happy with the results I was getting that they all decided to leave their dogs with me. My basic training turned into advanced training, and later on to running hunt test. Even though gun dog training is mostly what I do, I do have several hunt test dogs that I run in the spring and fall. My dogs teach me something every day. And now my passion is also my job. Life doesn’t get any better. I run AKC hunt test and HRC hunt test. I have titled many MH and HRCH dogs, as well as dogs at lower levels. What I really enjoy is working with the client that would like to run their own dog in the tests. It is a team sport, and you have to train as a team to be successful. You have to know your dog, and your dog has to trust you. The only way to be a good team is training. The dogs that run HT are also the dogs that will excel in the field. 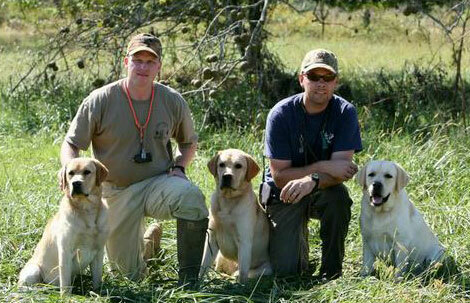 They have the advanced training needed to be the best hunting dogs they could ever be. Our training is all goal oriented, and one level is taught before moving on to another. It is very important that no steps are skipped. What I really want people to know is that even though your dog goes to a trainer, it does not mean he is going to be a robot. They need to come and work with their dog so they will know how to handle him. This will make the transition much easier when the dog goes home. It will be much less confusing for the dog, and a lot less frustrating for the owner. If the owners do not know how to use the collar to make corrections, or when to make corrections, it can be harmful to the training. 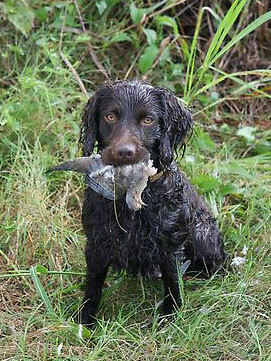 If the owner does not know what the dog has learned in training, it is hard to know what to expect from it. I like to take the time to train the owners as well as the dog. I believe that this is such a critical step in training. Hilltop Kennels does on occasion have puppies, started, and some finished dogs. Most of these dogs are off of our females, or clients dogs. All test will have been performed, and a health guarantee provided. 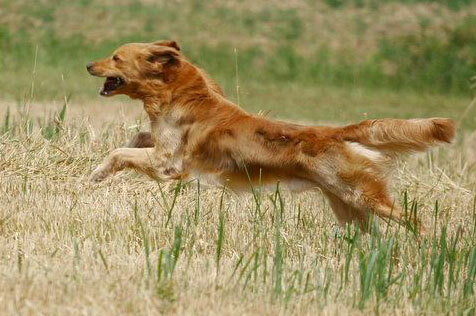 Most of the young dogs will have been run in some tests unless sold before they are ready to run. They will be up to date on all vaccinations and heartworm preventive. Call or e-mail for availability. We do provide boarding services when we have room. All dogs coming into board and training, must be up to date on all vaccinations, and have a recent heartworm test. If this is not provided, it will be done and invoiced out to the client. Most of our training is done off the kennel grounds in the surrounding area. I believe that dogs need a change of scenery and terrain to be able to adapt to any environment. You never know what type of terrain your dog will be exposed to in hunting and HT situations, so they need to be prepared. We will try to prepare your dog for any situation. If you have a specific, we will try to accommodate you. 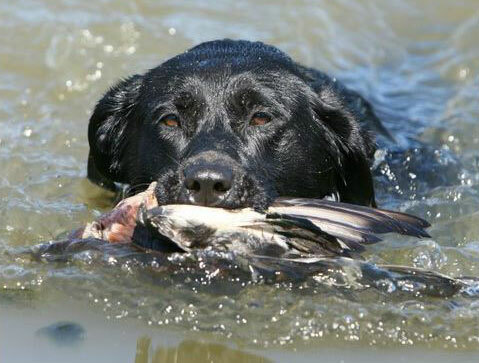 We take the dogs to Montana in the summer, so I can give instruction year round which is especially important in the critical months leading up to the hunting season. Many satisfied customer referrals upon request.